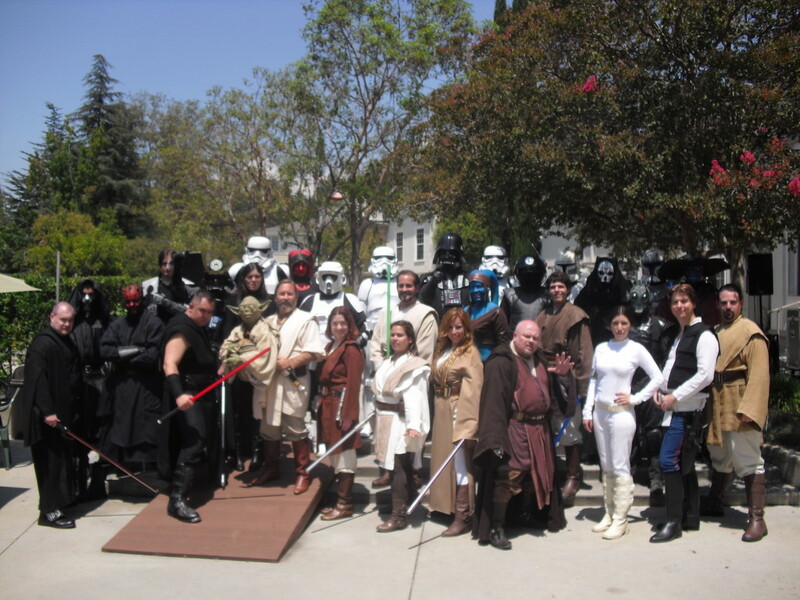 Rebels, Imperials, and bounty hunters join forces for a good cause in Pasadena, CA. Back in 2011, as a member of multiple fan clubs, I wanted to do something that had rarely (if ever) been done before: visit an orphanage in the same way we typically visit hospitals, schools, and libraries. 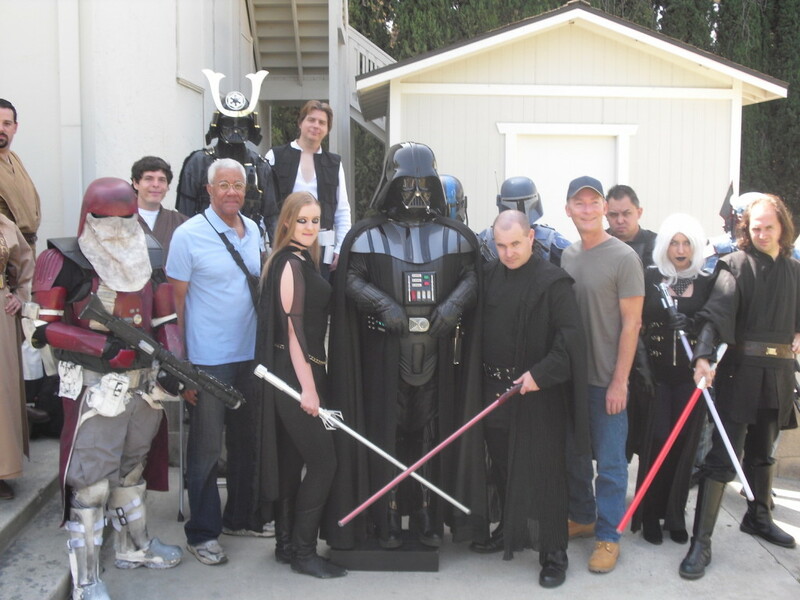 I was then (and am now once again) the “Tyran’ari,” or public relations officer, of the Dark Empire costume club, the first PR officer of Saber Guild, and eventual member of the 501st Legion. I knew that if the clubs worked together, they could collectively make a memorable impression in the minds of young ones that needed more smiles in their lives. Having shared my idea with other officers of local club chapters, I quickly came to realize that there was ample interest in getting costumers together to make such a visit. It caused me to wonder, of all the charitable trooping events the clubs have done over the years, why hadn’t there ever been an orphanage visit? To me, it was something that had to be done, and I knew after consulting with other club leaders that it was definitely viable. After doing some initial research and locating an impressive facility called “Hillsides” in Pasadena, California, I knew I’d found what I was looking for. I scheduled a meeting with their director of Community Resources and Volunteers and brought materials with me explaining what clubs like the Dark Empire and the 501st Legion are all about. The staff at Hillsides seemed impressed; they didn’t know that there were clubs like ours that do the kind of work we do without any cost whatsoever to the places we visit. They were intrigued, and decided to schedule a small private event with us that August for the kids. Before I left, they gave me the grand tour, and I was amazed at what they provided the children in residence there. At the time there were 66 kids in residence (what a number! ), just a shade higher than the 64 living at Hillsides now, which is still at max capacity. There is a school on the property with a personalized K-12 curriculum, and there are a number of programs that round out the overall mission of Hillsides, which is to provide a safe place for children, loving care, special education, crisis intervention, and children’s rights advocacy. The children at Hillsides are often referred to the facility by the California Department of Children’s Services and the Department of Mental Health. Founded in 1913, Hillsides nowadays is itself a 501(c)(3) nonprofit corporation, sits on 17 acres of land, has an annual operating cost of approximately $16 million, and relies heavily on government funding as well as public donations and volunteer work to support ongoing children’s programs and services. I went home from my first experience at Hillsides knowing that the upcoming trooping event would not only be fun, but that kids would be thrilled. In August of 2011, it happened. 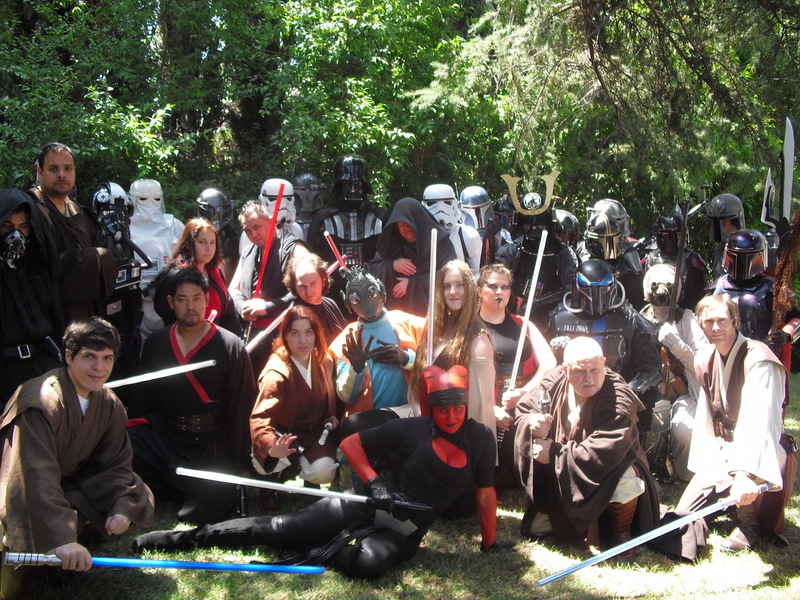 The plan was to have an entire Star Wars Day in which the kids would watch a few episodes of Star Wars: The Clone Wars and then be visited by Star Wars characters themselves. 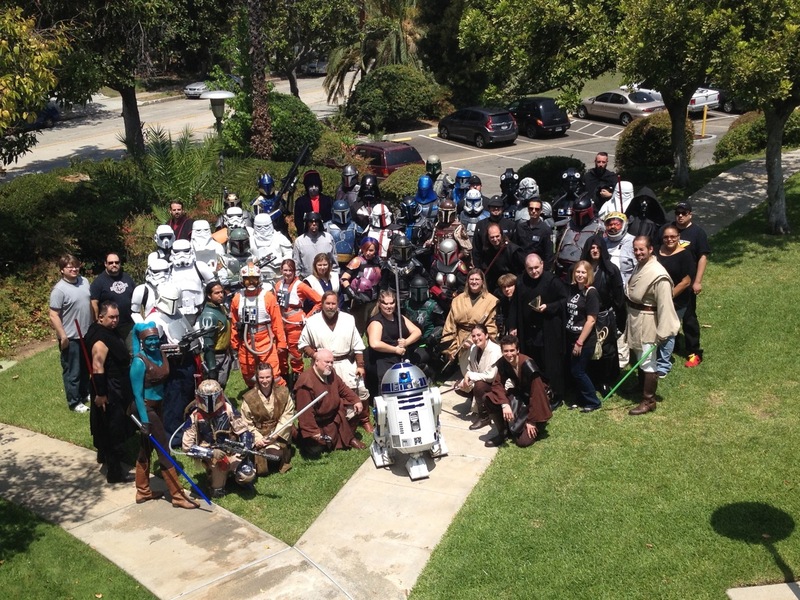 Saber Guild put on their always fun lightsaber show, and I reached out to my buddy, voice actor Stephen Stanton (Tarkin, The Clone Wars and Star Wars Rebels), and his pal, actor Rick Fitts (Dr. Martin, Star Trek: The Next Generation), to join us. 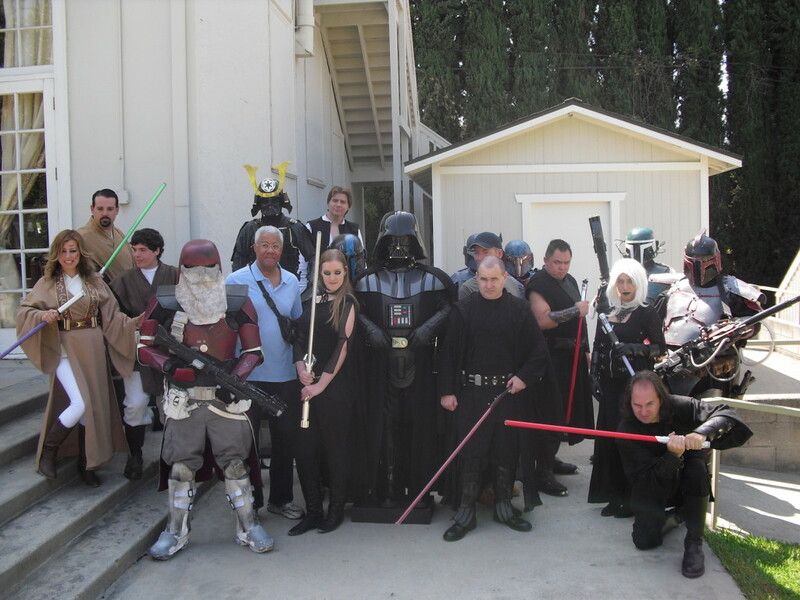 The event was hosted by the Dark Empire, with Saber Guild, the Mandalorian Mercs, and a few folks from Fanforce joining us; there were about 20 total costumers in that first year. The staff at Hillsides informed me after that first private event that they loved having us, some of them telling me that they enjoyed the experience just as much as the kids did! 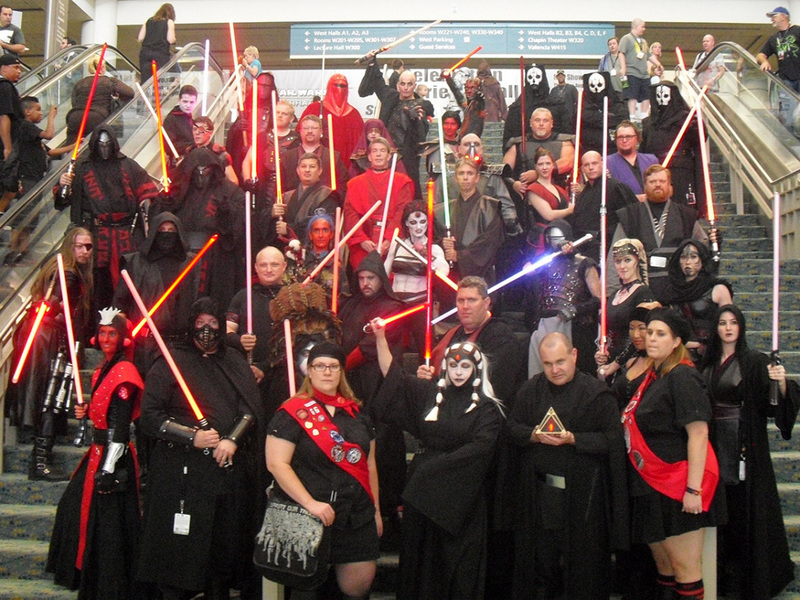 They asked if we could return again and have a Star Wars Day for the kids the following year. Of course! Little did I realize just how small that initial event was in comparison to what it would become. 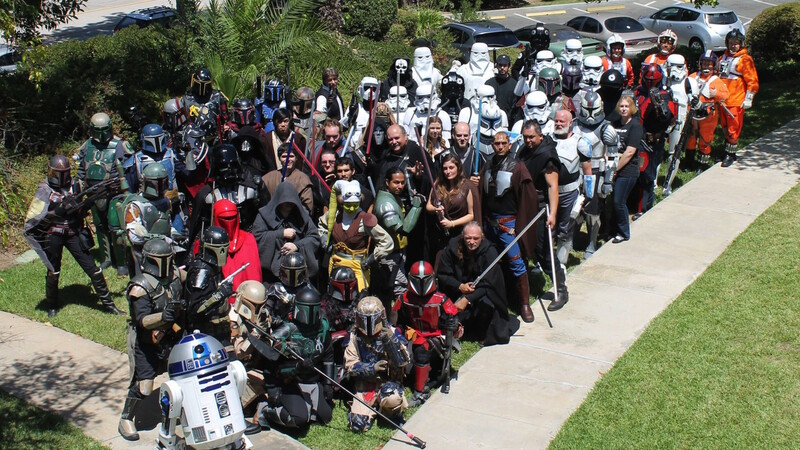 In August 2012, The 501st Legion, Rebel Legion, and Jedi Assembly joined us, adding stormtroopers, other Imperials, and more Jedi to the mix — totaling nearly 30 costumers visiting the kids that year. 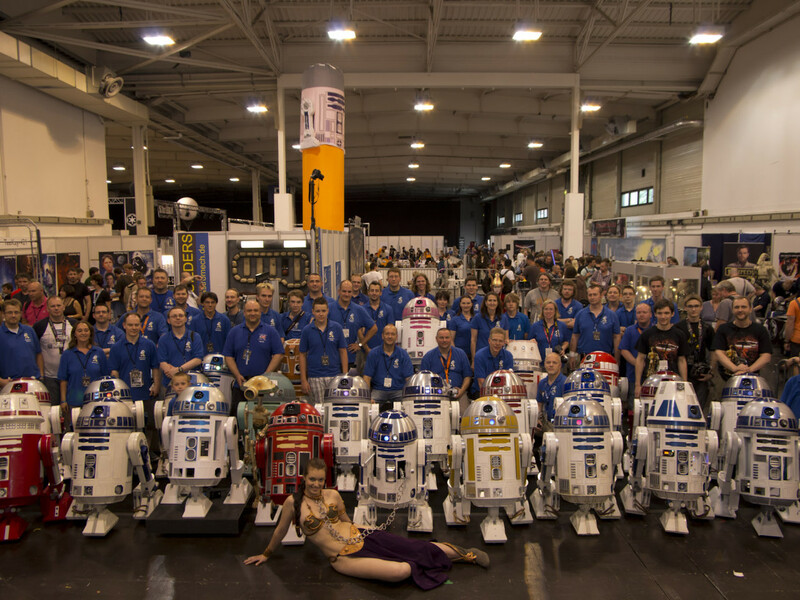 In August 2013, that number increased to 35 and included an R2-D2 from the R2 Builders club (who has been to every event ever since) along with a Greedo that promised not to shoot first. 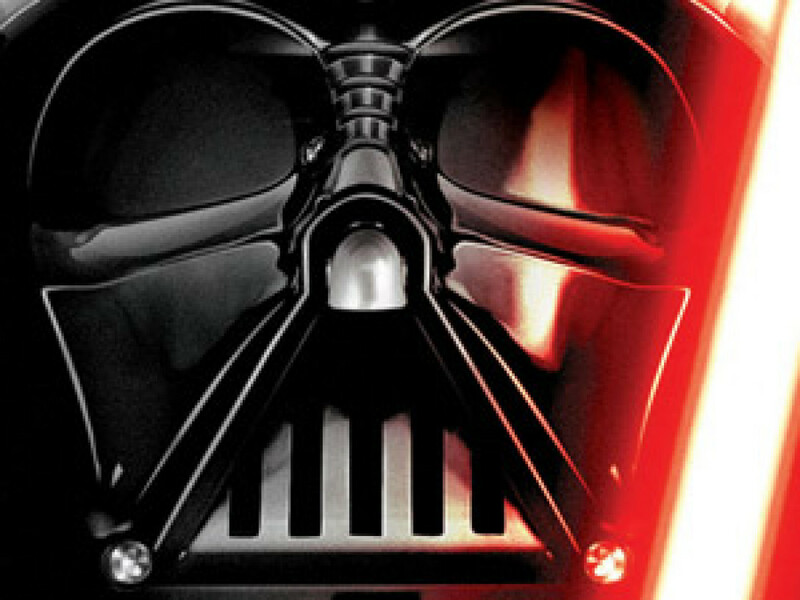 The number of Star Wars characters the following year totaled more than 50, and the event was mentioned in the Bantha Tracks section of the January 2015 issue of Star Wars Insider. This year more than 60 costumers, plus R2-D2, visited the kids at Hillsides in what has become a traditional private event that the kids and staff enjoy: meeting Star Wars characters, taking pictures, seeing a lightsaber show, and having a couple hours of fun on a scale of such magnitude that even Admiral Ackbar would be impressed (we still need to get him to come). 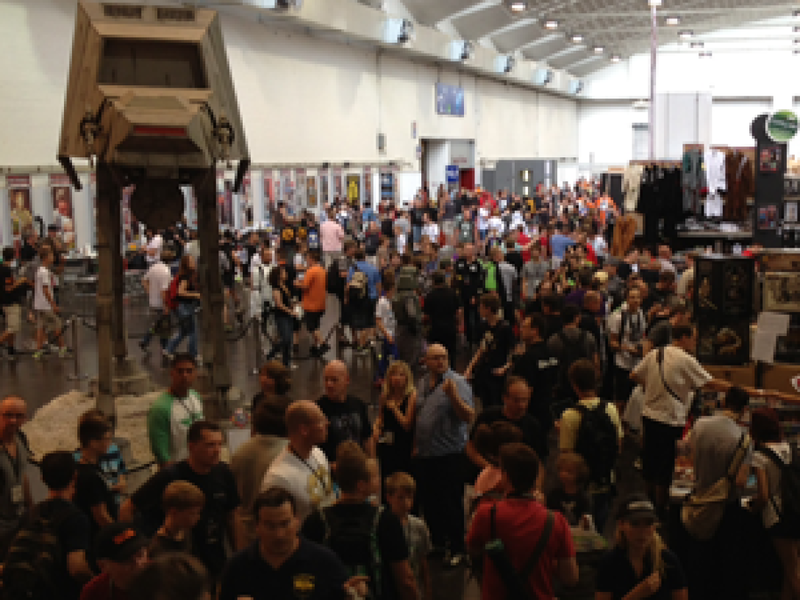 Looking at how much bigger the event has gotten in terms of Star Wars costumers and helpers visiting annually, I’m inspired at how our community of Star Wars fans pulls together with eagerness to put smiles on faces, especially the faces of kids that can really use it. 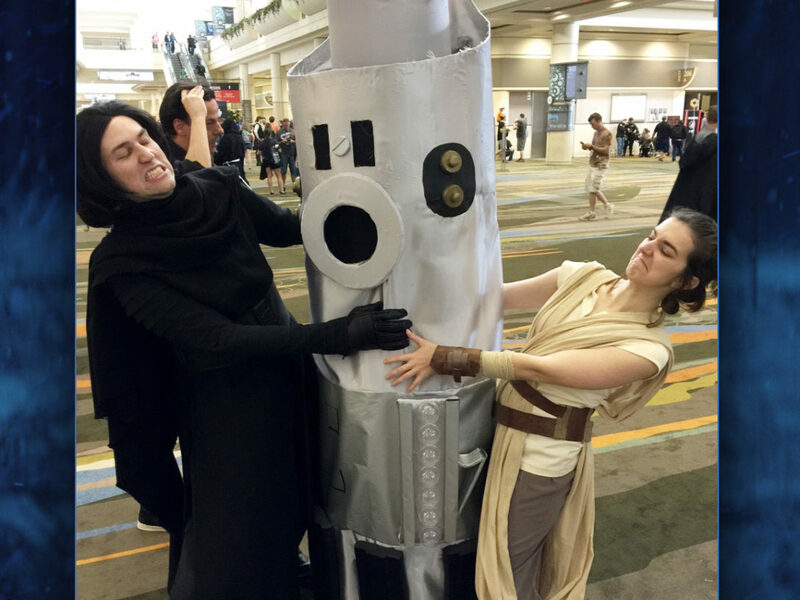 Like many of us, Star Wars invigorated my imagination as a child, and it’s amazing to see the faces of the kids at Hillsides light up each time we go there. Each visit is certainly a day that will be long remembered. Joe Mignano has served for years as the public relations officer of the Dark Empire costume club, and as the voice of its podcast. Learn more about TDE at www.thedarkempire.org.